Morning all. I have an idea I'd like to discuss for a new open source hardware device. Yesterday my cat didn't come home all day, and I was worried. He's back now, but I'd love to attach a tracker to him. Actually there are lots of things we might want to track... Tools, equipment, livestock, drones etc. Problem is, the load capacity of a cat is pretty low, and to be useful the battery will need to last a long time. GPS and cellular modems are right out, and in any case would be expensive. Fortunately there are new wireless technologies that fill this need, in particular LoRa. LoRa is a low power, long range wireless networking system that anyone can set up. You can install your own LoRa base stations in your house, or use commercial city wide ones. It's very low bandwidth, but you don't need much for this application. So my idea is to build a tag that can be attached to a collar or a tool, about the size of the CR2032 battery. In fact it would have a 2032 coin cell in it. I estimate that transmitting once every 15 minutes on LoRa would give around 2 years battery life if carefully optimised. I'd probably look at something like an SX1272 transceiver, although a cheaper option might exist since it only needs to transmit (no RX). Some kind of micro will be needed to manage transmissions. The main difficulties will be power management (CR2032 will need capacitor backup I think, probably something specialist to fit the form factor) and designing a suitable antenna. Users of the system will have their own LoRa base stations in their homes and businesses, connected to the internet. Commercial network use might be an option too. The base stations will simply listen for pings from tags, which will be nothing more than a serial number, and report them to a cloud service along with the signal strength. That won't give a precise location, but it will give an idea of roughly where something is and give the owner some confidence that it hasn't got lost or stolen, or somewhere to start looking. I'd love to hear some feedback and comments on this idea. I think the main problem will be mechanical, making something that is IP68 and performs reasonably well. It might be a question of having disposable tags so that they can be sealed permanently, rather than replaceable batteries, but then you have shelf life issues or a need for an activation switch. Sure, there are commercial solutions, but they are quite physically large and heavy, and are designed to do more than is required for this simple application. Actually, I think the closest thing would be that Bluetooth locator beacon scam on Kickstarter. Obviously Bluetooth is not suitable for this kind of application at all, due to power consumption and range. LoRa makes much more sense. perhaps just have a 433MHz id ping. and then a lot of receivers (and/or directional antennas), that messure RSSI. The one linked just needs a SAMR21 - you could do that in something that's barely larger than the CR2032 which powers it. BLE has extremely low power consumption - that is its entire raison d'etre! I'm looking at the demo kits on their web site, they are huge. Also, 2.4GHz is no good, range and penetrate are terrible even at high power. Believe me, I've done a lot of testing in this area for my work. There is a reason Zigbee on 2.4GHz failed to take off as a standard for industrial applications and smart cities - it tired to use short range radios and many many repeaters. BLE's power consumption is good by Bluetooth and rechargeable consumer device standards, but it's not going to run for 2 years with useful range and polling rate from a CR2032. Have you actually looked at the datasheets and link power budgets? Even over the typical sub 10m range it's not great. That's basically the plan. LoRa on 168/433/868/915 MHz, licence free. LoRa is cheap and the transceivers are very good in terms of sensitivity and cost, much better than older parts like the Texas CC11xx series and RFM12B. 868MHz is a good combination of range/penetration and reasonably small PCB/chip antennas. To be an easy to use consumer device I'm not thinking about doing direction finding or anything like that. Just a simple receiver box, say based on a $5 Raspberry Pi board, and a single antenna. Each one would report the serial number and RSSI back to a cloud service, and would report for all devices not just the owner's. Even with just one it would give an indication of when the object/pet being tracked was near by and give a distance/time graph. Lots of cat owners would love to know when their animal comes and goes when they are out. As more people in an area got them, the system would be able to see the tag moving around with a very low level of fidelity, but still giving a useful indication. There are also commercial LoRa networks that are likely to be very cheap to use. I've heard $1.50 for a transceiver and $1/year for service by 2020 for Japan. 2 year battery life would be reasonable for a disposable tag if it were not too expensive. It would need to be cheap because the tags will inevitably get lost or damaged. 2 years is a reasonable replacement lifecycle for both consumers and businesses. The only other issue is registering tags with owners. RFID would be ideal but there might not be space for it. Perhaps a barcode printed on, but it's likely to rub off over time. BLE's power consumption is good by Bluetooth and rechargeable consumer device standards, but it's not going to run for 2 years with useful range and polling rate from a CR2032. I have a couple of the demo kits here and I fired a kit up and placed the one unit in a neighbors mailbox all the way down at the end of the block, and set up the other unit to my PC in the house....worked just fine. Moved the remote unit to a friend that lives on the next block and the comms were spot on. I'm looking at the demo kits on their web site, they are huge. Well no fooling they are huge!! the idea is to allow you to get scope probes and make connections to the thing! Perhaps take a look at how an outdoor thermometer are made (that was why I said 433MHz), because other that size it do what you want, (instead of temperature you need to send an ID). I know that some geo-fencing systems without GPS, use 128KHz for pinging (I'm still here), and VHF/UHF for real data. You set up a "mesh" of beacons - so you don't actually need long range. I worked on such a project recently; we were 20m range with the SAMR21 XPlained Pro, IIRC. I often see one of our cats 500m away, but that could easy be about the limit. That beggars belief. Are you really claiming that 20uA TX current at 2.4GHz was able to transmit over, say 1000m, from inside a Faraday cage? Using Bluetooth? By the way, I followed you link, checked the recommended part for beacons, and the datasheet (http://www.cypress.com/file/2984...) says 9.2mA TX current and sub 10m range. The RX sensitivity is a mere -90dBm, compared to -156dBm for a LoRa transceiver. Sorry, you must be confused about something. There is simply no way what you claim is true. I don't think that will work, unfortunately. A mesh network is impractical for consumers to set up, it needs to work with a single base station on their property but allow for expansion. 20m range is too low, for low density networks you need 1000m+ which is possible with LoRa. Cats actually go quite far from home. It depends where they live, but experiments attaching trackers to them have shown a radius of a kilometer or two is not unusual. It's surprising what they get up to on the other side of the cat flap! Where did I say anything about a METAL mailbox(faraday cage)? I admit I find the claim hard to believe as well, but That is what they posted as their consumption rating. I am not confused about anything. The applications engineer made a point of this when I made the same points you have. EDIT: I don't know where you get 1000m from. I would say the distance from my home to the two mailboxes is maybe 100metres at most. Yep, that's about the state of the art in cat wearable technology. 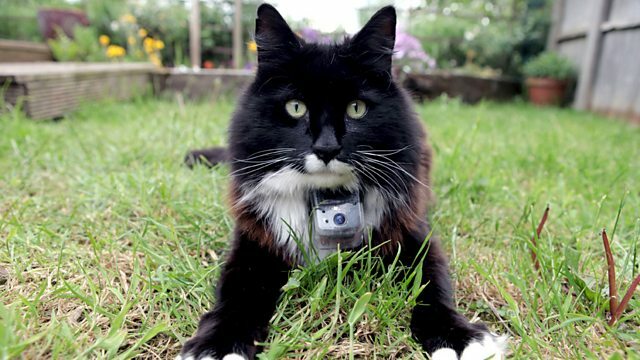 It's good for short term experiments where you want photos and accurate GPS tracking, but for cat servants (sorry, "owners") something the size of a coin cell and 2 year battery life would be better. You can actually get coin cell size RFID tags for collars to open those RFID cat doors, so it's a proven form factor for long term use. As well as cats I think there could be a lot of other uses. People with dementia and other disabilities could carry a tag, for example. I've seen a kettle for sale in Japan that sends a text ever time it is used, to reassure children of elderly parents that they are active during the day. The more I think about it the more I like it. There are privacy implications, but they are lessened by the fact that the location data will be quite general and imprecise. Where does 20uA Tx current come from? Isn't that 20uA average current? Yes - they say dogs see their humans as family, but cats see their humans as staff ... ! Not that I have used one, but have made HW for id tags and I don't see any reason for a battery on the cat at all. If there are room to a good ant. some tags can go 50cm+ , passive. Do you have a link to this specific claim? It sounds like when you wrote "they are quoting 5+ years cell life with a 20 microampere TX power in burst mode" you actually meant "they are quoting 5+ years cell life with a 20 microampere AVERAGE current with TX at some unspecified power and interval". That is more believable but without knowing what TX power and what RX sensitivity they have it's not very useful. My guess would be minimum TX power for a personal area network of wearable devices linked to a phone. The datasheet I linked to gives more useful information. Okay, but even that is improbable with a 20uA average current. What was the TX power, what was the polling rate? Note that wifi APs, mains powered, maximum allowed TX power, better sensitivity than the Cypress parts from your link and a good size antenna only get about 30m in urban environments, on a good day. You can't really assume line of sight etc. Bottom line, BTLE isn't in the same league as LoRa or other sub-1GHz systems for this kind of application. Again Where did I say it was? I purely put out another option to look into. LoRa is indeed an entirely different animal than BLE and has a greater range....As posted by another Freak, how far does the cat go? If within 100 metres then BLE might work, but might not depending on where the cat is. Indeed line of sight. Its a straight view of the mailbox from where I had the Host. All wireless specs are line of sight to begin with. Sure your Mains powered AP's are going to perform better, when you have 110/220vac from a wall outlet power is not an issue so you go B.O. on TX power. As Andy said, the 20uA is average power in a very short period of time, I know bloody well a CR2032 will not last 3 years with the TX running full time. I don't remember the total awake time, but the sleep/hibernate was in the realm of 30 seconds to a minute. I'd look for that folder right now, but I have to earn a paycheck. A network is really not suitable for location finding based on time of flight. The latency for messages passing through nodes kills you, both on outgoing and incoming pings. LoRaWAN has some sort of position reckoning built into the protocol, as I understand it. But you don't do the timing through nodes. The network part is just for communication - not the ranging part. A good search term would be "Real Time Location Service" or "RTLS"
To keep the system simple and cheap, I think simple proximity via RSSI would be enough. Even just changing RSSI within a building indicates movement, which will provide reassurance. Actually, I think the closest thing would be that Bluetooth locator beacon scam on Kickstarter. Obviously Bluetooth is not suitable for this kind of application at all, due to power consumption and range. 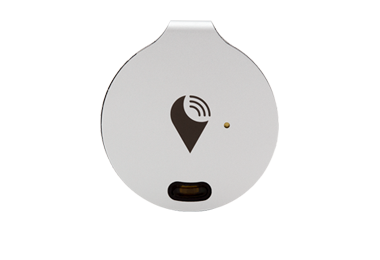 TrackR's effective range is improved by GNSS crowd-assist by service subscribers. Otherwise, it's educated guesses where the cat could be and walk your smart phone around. Cats hide well; ideally Bluetooth 4 would penetrate some vegetation. Has a water resistant case as an accessory. IIRC, LoRa has two receive windows after a transmit then the transceiver can power down. A plus on price and cost is the Semtech LoRa stack is FOSS and it's on mbed. The Pycom OEM LoRa modules are Q1 2017. Microchip has a LoRa gateway demonstrator; that might be more for neighborhoods or a village. Note : For North America the RN2903 has 2 to 3 times the transmit current as RN2483; not surprising because we need the range here and it's only at about 900MHz. Yeah, and there are a few others, all using BTLE. They all have the same issues, 30m range with line of sight, extremely optimistic 1 year battery life, relatively high cost... But you do get more accurate location information since generally you will be within 5-10m of the object. But of course, getting within 5-10m of a cat when you have no idea where it is, is pretty much impossible except by luck. Yes, it will need capacitor backup. Yes, and it seems like most service providers will offer a cheap TX only package and a more expensive TX/RX one. A lot of products will be TX only, things like water meters where there is nothing to configure and a daily reading is enough. The cost I've seen quoted was $1/year for 50 messages a day, i.e. half hourly transmission, but I don't recall if it included RX as well. Indeed... Although you can just transmit at lower power instead. LoRa is incredibly sensitive, well down below the noise floor. A Pi Zero looks like it would make a good base station. Low cost, you can add wifi or wired LAN as desired via USB. It's got to be easy to set up. In fact I'd imagine there would be a market for a Pi Zero based LoRa base station for hobbyists if AdaFruit or someone like that made one. I'd probably look at something like an SX1272 transceiver, although a cheaper option might exist since it only needs to transmit (no RX). Some kind of micro will be needed to manage transmissions. In addition to Semtech, Hope Microelectronics (HopeRF) has a LoRa transceiver. HopeRF LoRa has Arduino and PIC16 support; this likely eases effort on the proof-of-concept. HopeRF LoRa modules might be small enough for the first prototype; might be able to source HopeRF LoRa transceiver chips for subsequent prototypes. I think the main problem will be mechanical, making something that is IP68 and performs reasonably well. Creating a consistent and producible case at IP68 will take significant effort and work. You'll be going back and forth with the injection molding machine operator a few times. A functional prototype case will ease creation of the injection molds. Consider that some mobile phones have sealant applied during manufacture or re-work or re-furbish; these are water resistant to a few cm for about half an hour. To recover a cat's tag, open cell cover, remove cell, reasonably bake the tag for a duration, cool to room temperature, wipe cell contacts, insert new cell, self test, self test results at base are OK, close cell cover. A Pi Zero looks like it would make a good base station. Low cost, you can add wifi or wired LAN as desired via USB. It's got to be easy to set up. The LoPy can act as both a LoRa Nano Gateway and a multi-bearer (LoRa, WiFi and BLE) development platform. It is programmable with MicroPython and the Pymakr IDE for fast IoT application development, easy programming in-field and extra resilience with network failover. About double the RAM and 4 times the flash as a typical ESP32 module. I build products that are permanently submersible for a living, so I'm well aware of the challenges in creating IP68 enclosures. Metal is usually preferred but I think in this case the right plastic and the right welding should do the trick. I've contacted Semtech for some evaluation kit. Having used HopeRF modules in the past I was not very impressed with quality or functionality. Maybe they are better now, I should have another look. Funnily enough I've had the Pycom guy in at work recently too, although their modules are rather expensive and bulky due to trying to do everything. Their idea of "low power" is at least an order of magnitude too high as well. 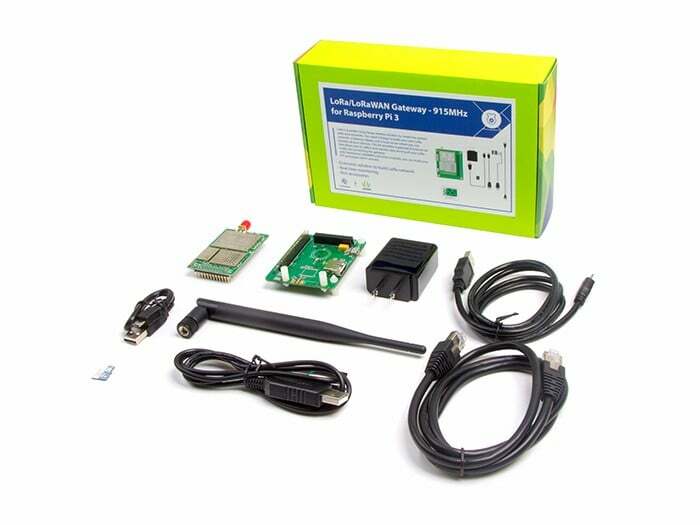 Seeed Studio LoRa/LoRaWAN 868MHz & 915MHz Gateways for Raspberry Pi 3 are long-range wireless solutions to create low-power, wide area networks. To build a LoRa network, 3 things are needed. A gateway, at least one Node and a local server to monitor all devices. Technology Editor Bill Wong builds a LoRA gateway using components from Gumstix, Microchip, and RisingHF. Gumstix also has modular LoRA solutions, including its family of LoRA Gateways. I tried my hand at LoRA using the Overo Conduit LoRA Gateway (Fig.1) based on RisingHF’s RHF0M301 module. I tested the gateway using two LoRA nodes, including the Gumstix Strata Weather Station Node and the Sodaq ExpLoRer with a built-in PC antenna (Fig. 4). The Weather Station has a barometric sensor and temperature sensor along with a GPS jack. The weather station has about 50% headroom for dealing with a custom application and is essentially limited by the AVR micro. The Sodaq ExpLoRer has a heftier microprocessor with more memory. There is also a Gumstix carrier board for the Raspberry Pi Compute Module. There are a number of LoRA gateways built around the standard Raspberry Pi, as well including one from Seeed that also uses the RisingHF RHF0M301 module. If you are looking for an open source LoRA server, check out loraserver.io sponsored by Cable Labs. The Overo or Raspberry Pi could easily handle this server. There are commercial LoRA servers and combined gateways and servers, as well. These allow private LoRA networks to be created and managed. These can coexist with other LoRA networks within the same area. ... private LoRaWAN (Low Power Wide Area Network) networks. The shield is per Arduino Uno V3. There are a few SAM in mbed. Have you considered some kind of kenetic or perhaps solar energy harvesting subsystem? I'm sure a wandering pet would generate a fair bit of energy in their movements.